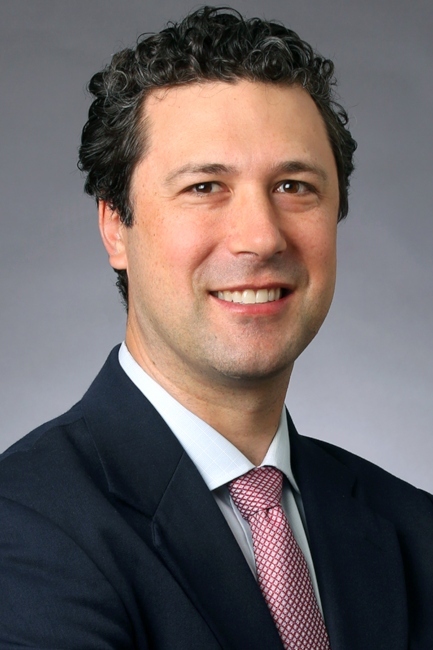 Charles M. Jobin, MD, specializes in treating shoulder and elbow disorders in adults, which includes rotator cuff tears, shoulder instability, tendon and ligament injuries, arthritis and fractures. He is skilled at performing total joint replacements as well as minimally invasive, arthroscopic procedures. Dr. Jobin cares for local athletes and has provided orthopedic coverage for the Tournament of Champions – the world’s largest squash spectator event held annually in Grand Central Terminal. He is the team physician for Riverdale Country School and tends to the orthopedic needs of rugby, lacrosse, and club sports players at Columbia University. During his residency, he also provided coverage for Columbia University Athletics and City College of New York Athletics. Dr. Jobin’s research focuses on the optimization of shoulder replacement outcomes, rotator cuff repair, and tendon injuries. He has co-authored seven book chapters on a range of orthopedic topics and published articles in several of the top journals in his field, including the Journal of Shoulder and Elbow Surgery, the American Journal of Sports Medicine, and the Journal of Bone and Joint Surgery. Jobin CM, Galatz L. “Proximal Humerus Fractures: Pin, Plate, or Replace?” Seminars in Arthroplasty, 2012 June, 23(2), p74-82. Jobin CM, Brown GD, Bahu M, Bigliani LU, Levine WN, Ahmad CS. Reverse Total Shoulder Arthroplasty for Cuff Tear Arthropathy: The Clinical Effect of Deltoid Lengthening and Center of Rotation Medialization. Journal of Shoulder and Elbow Surgery. e-pub ahead of print Nov 5, 2011. Paryavi E, Jobin CM, Ludwig SC, Zahiri H, Cushman J. Acute exertional lumbar paraspinal compartment syndrome. Spine (Phila Pa 1976). 2010 Dec 1;35(25):E1529-33. Heyworth BE, Jobin CM, Monica JT, Crow SA, Lee JH, Rosenwasser MP. Long Term Follow-Up of Basal Joint Arthroplasty of the Thumb with Tendon Transfer. J Hand Surg [Am]. 2009;Jul:34A:1021–1028. Jobin CM, Kippe MA, Gardner TR, Levine WN, Ahmad CS. Distal Biceps Tendon Repair: A Cadaveric Analysis of Suture Anchor and Interference Screw Restoration of the Anatomic Footprint. American Journal of Sports Medicine. 2009 Nov;37(11):2214-21. Epub 2009, Jul 21. Wei DH, Raizman NM, Bottino CJ, Jobin CM, Strauch RJ, Rosenwasser MP. A Prospective Randomized Clinical Trial of Unstable Distal Radius Fractures treated with External Fixation, Radial Column Plating, or Volar Plating. Journal of Bone and Joint Surgery [Am]. 2009 Jul;91(7):1568-77. Goldberg SH, Jobin CM, Hayes AG, Gardner TR, Strauch RJ. The Biomechanical and Histologic Properties of Intact and Repaired Digital Nerves: An In-Vitro Study., J Hand Surg [Am]. 2007 Apr;32(4):p.474-82. Hayes AG, Kim PD, Amin F, Jobin CM, Akelina Y, Hays AP, Rosenwasser MP. Collagen Nerve Protectors in Rat Sciatic Nerve Repair: a Morphometric and Histologic Analysis. Plastic & Reconstructive Surgery. Abstract Supplement. Sept 15, 2006. 118(4): p.100-101. Jobin CM, Chen H, Lin AJ, Yacono PW, Igarashi J, Michel T, Golan DE. Receptor-regulated dynamic interaction between endothelial nitric oxide synthase and calmodulin revealed by fluorescence resonance energy transfer in living cells. Biochemistry. 2003 Oct 14;42(40):p.11716-25. Jobin CM, Keener JD, Yamaguchi K. “Arthroscopic Rotator Cuff Repair” in Orthopedic Knowledge Update (OKU): Shoulder and Elbow 4, submitted 4/2012. Jobin CM, Bigliani LU. “Shoulder Reconstruction” in Orthopedic Knowledge Update (OKU) 11, submited 8/2012. Omid R. Jobin CM, Yamaguchi K. “Single Row Rotator Cuff Repair – Tension Band Construct” in Video Atlas of Shoulder Surgery, submitted 12/2011.